How many parts are inside? 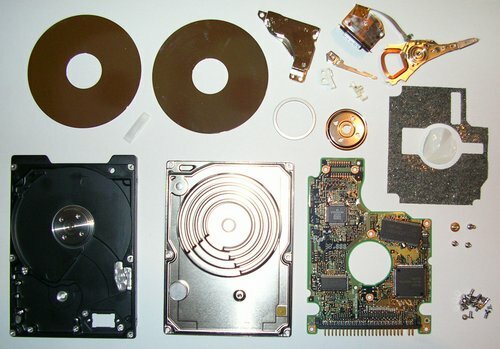 Ever wondered what an opened 2.5″ hard disk drive looks like? This is what happens when you trust that buying a used 60GB 2.5″ HDD will “be enough” to secure your important data. It failed to work after a year, gave me some headache the other day (managed to recover 99,5% of my data) and has now received its final treatment. Yes…now I know. And now I am not sure what to do with this new found knowledge. The pieces could be used to create objet d’art.